The question which tickles the mind is what happened with this speed machine? The Mitsubishi Outlander price was tagged at Rs. 24.56 lakh. It was packed with 2.4 litre MIVEC which could produce power of 170 BHP and torque of 226 NM and has an automatic gearbox of 6-speed. 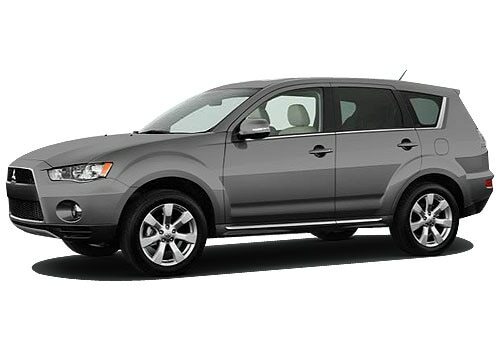 Outlander shared the market with Honda CR-V being its single handed competitor. Then what actually went wrong with Mitsubishi Outlander features wise and price wise if it was well amalgamated. It was the diesel engine which it missed on. For India, the diesel variant would have worked even CR-V does not sport it though. There is still news which may please you. The makers recently veiled off its diesel counterpart. Form the diesel variant Mitsubishi Outlander pictures reveals it seems to rise up with its sales figures. It will speed up with its 2.2 litre diesel engine which will produce a power pack performance from its 150 BHP and a torque of 380 Nm. If the manufactures plan to accumulate it in India, it may be proved a nut cracker for the company. At present, if we see the 20-30 lakh market does not have many options so Toyota Fortuner may have easy way. Also SsangYong Rexton which has still not managed the show well may have a chance. At present, Montero and Pajero Sport is the only Mitsubishi’s bet for Indian roads. In which Pajero Sport is doing its rounds by selling every month 150 units. While Montero is still struggling as not a single unit has been sold in this year and for 2012 it could only manage 2 cars. The Outlander a nice SUV to watch out for but it will be missed on the Indian roads but we can expect the unveiled diesel version 2014 soon for the Indian roads.